The investment industry is on the cusp of a major shift, from Modern Portfolio Theory (MPT) to Behavioral Finance, with Behavioral Portfolio Management (BMP) the next step in this transition. BPM focuses on how to harness the price distortions that are driven by emotional crowds and use this to create superior portfolios. Once markets and investing are viewed through the lens of behavior, and portfolios are constructed on this basis, investable opportunities become readily apparent. Mastering your emotions is critical to the process and the insights provided by Tom Howard put investors on the path to achieving this. Forty years of Behavioral Science research presents a clear picture of how individuals make decisions; there are few signs of rationality. Indeed, emotional investors sabotage their own efforts in building long-horizon wealth. 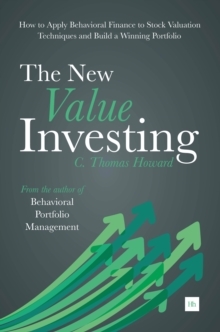 When this is combined with the misconception that active management is unable to generate superior returns, the typical emotional investor leaves hundreds of thousands, if not millions, of dollars on the table during their investment lifetimes.Howard moves on to show how industry practice, with its use of the style grid, standard deviation, correlation, maximum drawdown and the Sharpe ratio, has entrenched emotion within investing. The result is that investors construct underperforming, bubble-wrapped portfolios. So if an investor masters their own emotions, they still must challenge the emotionally-based conventional wisdom pervasive throughout the industry. Tom Howard explains how to do this. Attention is then given to measureable and persistent behavioral factors. These provide investors with a new source of information that has the potential to transform how they think about portfolio management and dramatically improve performance. Behavioral factors can be used to select the best stocks, the best active managers, and the best markets in which to invest. Once the transition to behavioral finance is made, the emotional measures of MPT will quickly be forgotten and replaced with rational concepts that allow investors to successfully build long-horizon wealth. 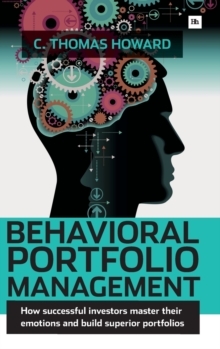 If you take portfolio construction seriously, it is essential that you make the next step forward towards Behavioral Portfolio Management.